Purchase 3 or more digital MP3 albums and get $2 off the price of each release (i.e. $6 off the price of 3 albums)! "Uncharted Waters" represents an adventure into the unknown, a step of faith into a place where we are not in control. Spanning the entire dynamic range and limitations of the piano, "Uncharted Waters" is an acoustic 'tour de force' picturing the great forces at work on the ocean. 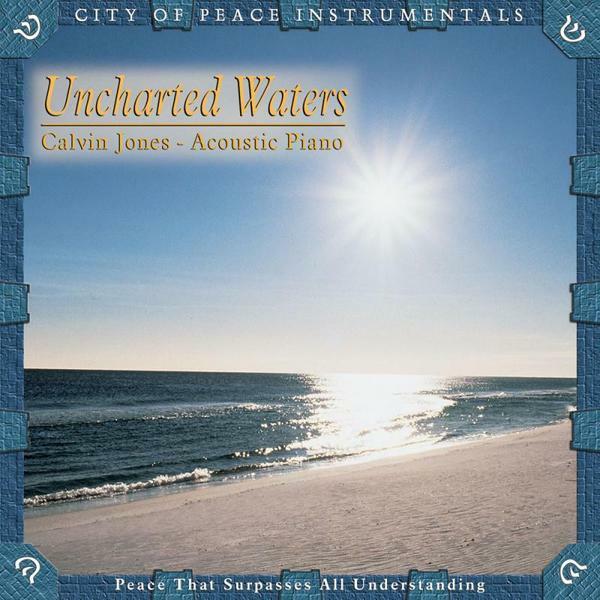 Calvin's latest release features gripping originals such as "Winter Port," "Maiden Voyage," "Beside Still Water," "Uncharted Waters," "Mariner's Flame" as well as Calvin's arrangement of "Sweet Hour of Prayer" (Solitude).